Part II of my recycling blue jeans series focuses on pillows. 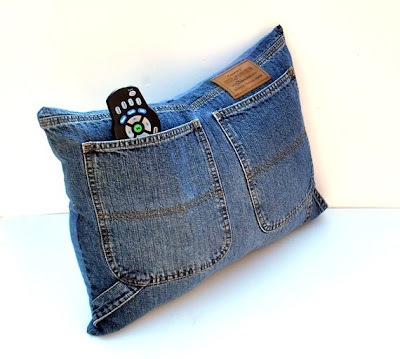 Truth be told, this is the direction I am leaning for my stack of old jeans. I have a couch in my living room that is a denim hue still sporting the original matching pillows. Some eclectic pillow work is definitely needed there. And the jeans I have are in many, many shades of blue. Here are a few of the many examples I have found. 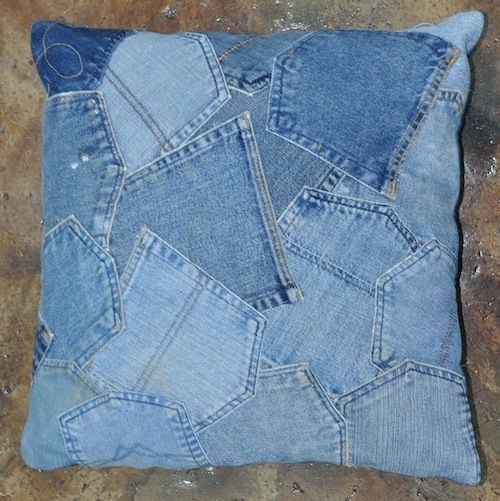 Just about any patchwork design, either classic or original creates a great denim pillow. These examples are from Daniel at Piece and Press Blog. The denim pockets of the last post combined with the pillow application are a natural for remote control storage. It has been months since I've watched TV and I have no idea where the remote is! I would think the most difficult part of old jeans to recycle constructively would be the waistband but here is a pillow of just waistbands. Unique but not too comfortable. But it requires a heavy duty sewing machine to stitch through those. I especially like this crazy quilt style made from pockets. I don't think I have enough jeans to complete many projects. I'll have to choose and keep collecting. 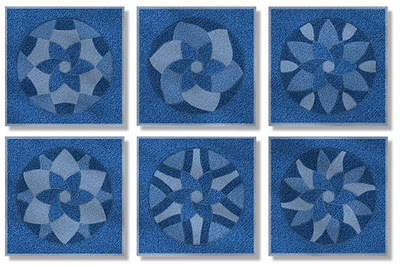 Funny, I was googling cushion covers on Friday and spied a few of these denim ones myself. They have such character. Really like the ones that hold the remote. 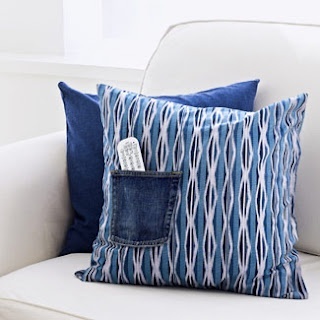 I am partial to the pockets all over pillow- but one should be left open for the remote, or hide 'n seek games with the grandkids. 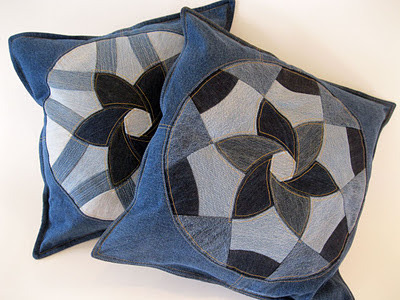 Definitely some denim pillows on my to-do list! I love your pillows Chase. The fabrics look beautiful together. 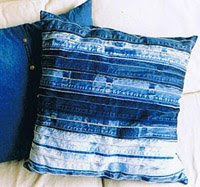 just love all the denim upcycling things. I make purses and tote bags and sell at craft shows and they really go over very well. I also shop thrift stores and rummage sales. I use mostly items that will not be worn any more. I would love the instructions for the grocery bag style bag. Great job!!!!!!! Love the flowered pillows.